Sometimes the simplest things can make the best illustrations. Object lessons are so powerful because they leave a lasting impression and make sense to kids. If you are hunting for your next exciting and unique lesson, consider adding a little baking lesson to the mix. As always, specifics are quite flexible, and the suggestions here are merely that—possibilities. But the main point is to have fun and engage audiences in a novel way. Opening: Transformation…share with students that today’s special lesson will feature an exciting range of topics, as you talk about things that change. Brainstorm some characters in the Bible who experienced change or re-direction in their lives…you might come up with Abraham and Sarah, Moses, Mary, Ruth, David…there are many possibilities (and this lesson can go with any of those stories, really). One potential “180 changer” to highlight is Paul. Remember, he was headed down the road to destroy Christians (literally!) when God found him. Well, just like that, we can be transformed and changed from the inside out, too, when we listen to God. Saul (Paul) was totally changed, transformed into something brand new. 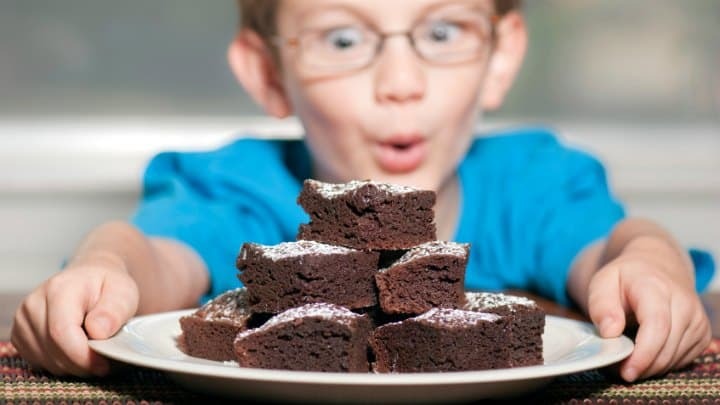 When we mixed the brownie ingredients and baked them, the chemical reactions made them into something radically different. We no longer have wet batter, but real tasty chocolate brownies! After the brownies are finished (timing may vary), remove them carefully from the oven and show the new creation. After a few minutes to cool, allow students to sample the treats! Close with prayer, thanking God for transforming our lives and asking for patience as He does so. I really like this lesson I can’t wait to do it with my youth group!!!! Tony Kummer (Editor) reviewed & updated this page on : June 6, 2016 at 12:06 am. All our content is peer reviewed by our readers, simply leave a comment on any post suggest an update.